If you have any questions, concerns, or comments regarding Dr. Ilyas Memon, please fill out the short contact form below. 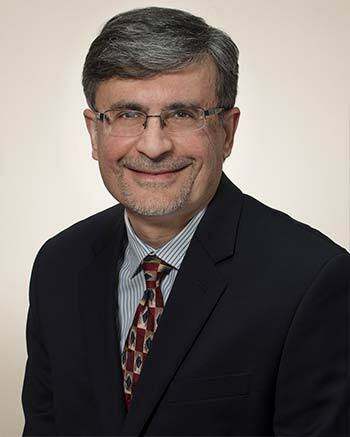 Dr. Ilyas Memon, MD is a Board Certified Gastroenterologist practicing in Conroe, the Woodlands, and Spring area of Texas. He has more than 12 years of real world practice and experience in diagnosis & treatment of digestive and liver diseases. This experience includes various Endoscopic procedures including Upper Endoscopy, Colonoscopy and ERCP, and much more. He offers treatment for abdominal pain, celiac disease, hepatitis C, irritable bowel syndrome (IBS), and Crohn’s disease. His offices also perform colon cancer screenings, colonoscopy, and GI consultations. Dr. Ilyas Memon is Board Certified by the American Board of Internal Medicine in Gastroenterology since 2002. He is affiliated and has privileges with most Local Hospitals including Conroe Regional Medical Center, St.Luke’s The Woodlands Hospital, and Memorial Hermann Hospital. He is equipped to, and would be glad to, provide his patient with a referral as needed and utilize his extensive network to better serve his patients. Whether a patient goes in to see Dr. Memon for a routine, maintenance-based procedure or something more involved, he is armed with his arsenal of previous cases and tried-and-true methodologies. Dr. Memon’s practice philosophy is to provide each patient with excellent care while utilizing latest medical technology and to ensure complete safety, comfort, and satisfaction of every patient. He is committed to thorough diagnostics, understanding that nothing can be treated or cured if it is not found in a timely and comprehensive fashion. Dr. Memon strongly believes in patient education and is committed to providing high-quality gastroenterology health information to his patients. To more comprehensively meet the needs of his patients, Dr. Memon takes great pride in offering convenient and urgent appointment times. In his vast years of experience, Dr. Memon has observed that pain, discomfort, and illness do not operate on the patient’s or doctor’s schedules. When you need him, Dr. Memon can be available. It is Dr. Memon’s belief that no person should have to forgo the medical attention he or she needs as a result of insufficient funds. To be available to the largest subset of patients, Dr. Memon accepts a wide variety of coverage options and payment types. Call the office to determine if the coverage you carry is in the network for Dr. Memon.